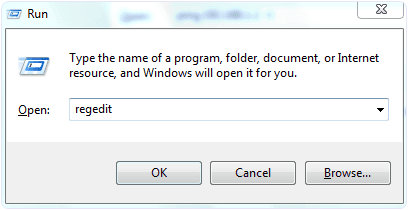 Remove Write Protection From Pendrive Using Regedit. Registry Editor is a collection of resource for Windows OS. We can easily edit, update and remove settings for any particular file, device and windows system. So we can also use registry editor to remove write protection from usb drive. So to remove the write protection follow below given steps. First of all open your “Start menu“, and search for “Run” option. Then type in “regedit” into run box and press Enter. After that new window for registry editor will get open. After successfully reaching to that portion as shown above. 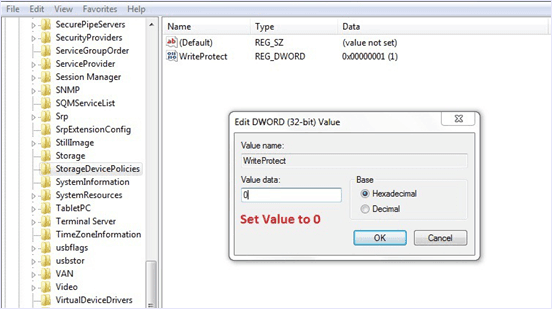 Double-click the “WriteProtect” key located in the right side pane and set the value to 0. Finally Restart your computer and Plug-in pendrive again. Hope this solution will works for you.